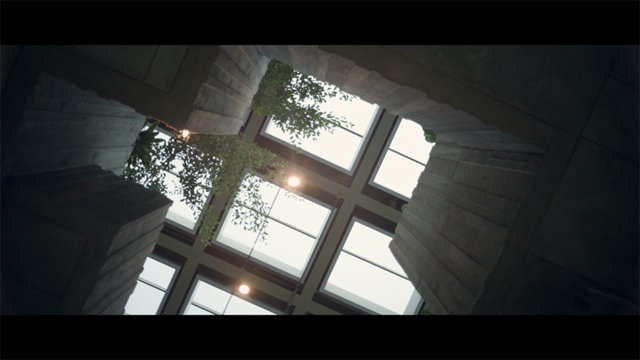 What if we could see the air around us? How many messages lie hidden in a passing breeze? Live Aware with Aclima. SAN FRANCISCO--(BUSINESS WIRE)--Aclima Inc., a San Francisco-based company that designs and deploys environmental sensor networks, today unveiled its work and announced partnerships with Google Inc., the U.S. Environmental Protection Agency (EPA), and Lawrence Berkeley National Laboratory. Additionally, the company named an advisory board of luminaries to guide Aclima’s mission-driven work. To achieve its mission, Aclima’s team of designers, engineers and scientists built a full-stack hardware and software platform for measuring and understanding environmental quality in real-time. Aclima’s modular and scalable networks of internet-connected sensors generate billions of data points across a range of environmental factors. Each sensor network is customized to meet the needs of enterprise and government partners—whether a partner is interested in mapping greenhouse gases across an entire city, or air pollutants that affect human health inside commercial buildings. The company’s cloud-based back-end and modular front-end tools process, analyze, and visualize limitless amounts of environmental data, enabling Aclima scientists and partners to discover real-time and long-term insights. With its managed infrastructure tools, Aclima ensures network reliability and optimal data quality. Aclima works hand-in-hand with partners to explore their spaces and apply insights toward optimal decision making. Aclima refers to this unique service model, combining technology and data-driven insights, as Sensory ScienceTM. One of Aclima’s most significant enterprise partners to date is Google. For several years, Google and Aclima have worked together to deploy a global indoor environmental sensor network—the first of its kind—connected across 21 Google offices around the world. Five hundred networked Aclima devices currently process 500,000,000 data points each day on indoor environmental quality, including comfort measures of temperature, humidity, noise, and light, and emissions like carbon dioxide and particulate matter. The information allows Google to evaluate environmental factors in their offices and, in the future, make better decisions on workplace design to support employee wellbeing, productivity and creativity. To push the limits of current sensing technology, Aclima has established scientific and research relationships of the highest caliber. In 2013, Aclima and the EPA signed a Cooperative Research and Development Agreement (CRADA). The collaboration brings together EPA scientists with Aclima’s Research and Development team to improve data quality from small-scale sensors. The partnership is advancing Aclima’s measurement methods for its stationary and vehicular sensing platforms. Aclima also leads a cross-sector collaboration with Lawrence Berkeley National Lab, UC Berkeley, University of Illinois at Chicago, and the EPA to engineer and commercialize a miniaturized particulate matter sensor—the smallest sensor of its kind—for the air pollutant most responsible for respiratory health problems, like asthma. Aclima began its startup journey with a belief that businesses can become market leaders by driving beneficial social change. Rather than focusing on a ‘minimum viable product’, Aclima’s founders sought a growth and partnership approach aimed at achieving ‘maximum societal impact.’ This approach supports the company’s ultimate vision of a real-time, dynamic, global layer of dense environmental data that gives society the tools to optimize human and planetary health. Aclima Advisory Board members include luminaries such as: Jane Lubchenco, former Administrator of The National Oceanic and Atmospheric Administration (NOAA) under President Barack Obama; William K. Reilly, former Administrator of the EPA and Senior Advisor to TPG Capital; Peter Senge, Senior Lecturer at MIT School of Management, pioneer in systems science and author of “The Fifth Discipline”; Elad Gil, Serial entrepreneur and former VP of Corporate Strategy for Twitter; Greg Niemeyer, Professor at UC Berkeley and Director of the Berkeley Center for New Media; David Sherman, co-author of the “Flourishing Enterprise” and distinguished fellow at the Fowler Center for Sustainable Value; and Martin Goebel, Founder of Sustainable Northwest and former country president for World Wildlife Fund and Conservation International. 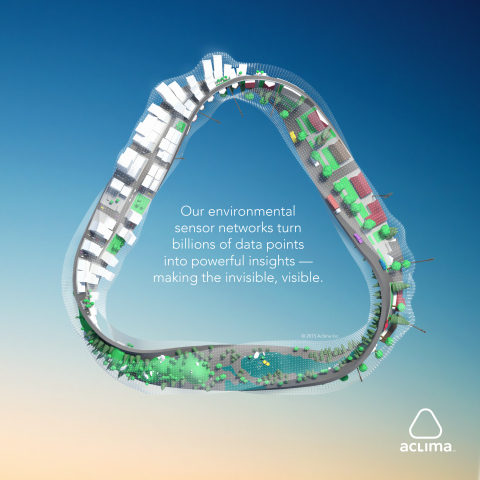 Aclima designs and deploys environmental sensor networks that help people live aware. Aclima’s sensor networks generate billions of data points to reveal actionable insights about buildings, cities, and communities. In collaboration with partners, Aclima applies these insights to improve human and planetary health. Aclima’s mission is to use this new body of knowledge to create a more resilient, healthy and thriving world. For more information, visit www.aclima.io. Aclima Inc., a company that designs and deploys environmental sensor networks, today unveiled its work and announced partnerships with Google, the U.S. EPA, and Lawrence Berkeley National Labs.